Located geographically in the center of the city, which is also the most renowned area of ??Barcelona, ? ?just a few meters from the bus and metro. 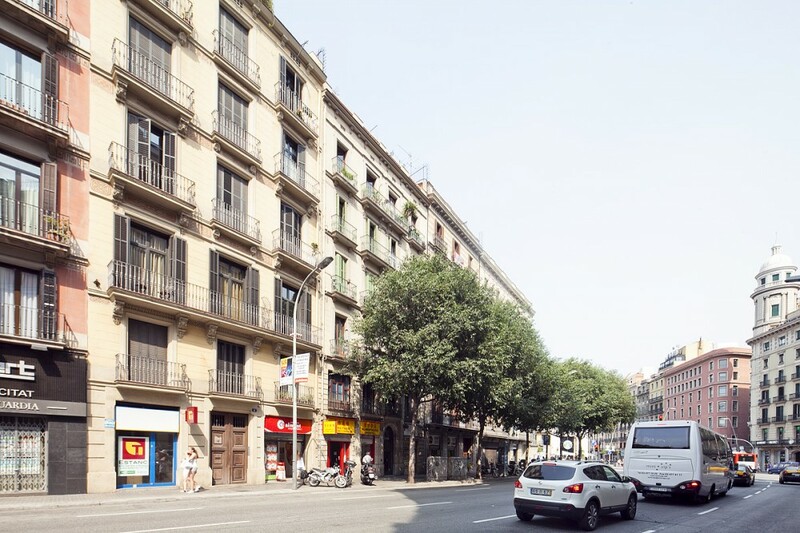 This apartment is approximately 65m2 and is located in an elevator building. This elegant home has two bedrooms: one with a single bed and one double bed. The lounge is fully equipped to give you the time off you need in your holidays, has a double sofa bed and the kitchen is fully equipped with dishwasher, microwave, coffee maker, electric stove, kettle, oven, fridge-freezer and stove of hob. This cozy apartment is a fully furnished bathroom. For your comfort the apartment is also equipped with hair dryer, iron, TV, DVD player, air conditioning, heating, washing machine, dryer and Wi-Fi. A very spacious balcony lounge hall lights and gives you the opportunity to enjoy a view of the Catalan city and discover just look out, the wonderful city city you are about to discover. The apartment can accommodate up to 5 people.